Dropbox is planning to develop more features to encourage business use over the next couple of years, according to one of its senior executives. Sujay Jaswa, VP of Business Development for Dropbox, told an audience at the Cloud World Forum in London that over the next couple of years the company will concentrate on application programming interfaces (APIs) and encourage the development of apps to support work processes. He also spoke about "best in class security" and centralised deployment of features such as single sign-on, but refrained from giving any specifics on which products would be available when. "On the business side we intend to focus on the admin side and give people the tools they can really use to manage Dropbox around the organisation," Jaswa said. This follows the development of identification and enterprise security features, along with administration tools and origin sync. The cloud file sharing service has taken off among consumers since its launch in 2008, but has also been widely used, largely on an informal basis, within businesses. 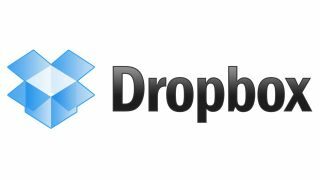 Jaswa said that by September 2012 Dropbox had more than 100 million individual users and was being used by more than 2 million businesses. "It's taken off in the minds of business because they have to give employees something they want to use," he said. "We don't make a distinction between consumers and business; it's a product for people." A recent survey by Spiceworks showed that Dropbox is the most widely used cloud file sharing service among small and midsized businesses, accounting for 40% of company approved activity and being used by 93% of employees.